Three siblings and a family friend on their way to a dance competition were killed in a car accident in Texas, officials said Sunday. Texas Department of Public Safety said Michael Williams and his sisters, 17-year-old Tiffany Williams and a 12-year-old who were not named, and friend Peyton Mackenzie Irwin, 19, died in the Friday Friday in Central Texas, according to NBC affiliate KXAN. The sibling's mother who was driving was in a coma at a hospital in Austin, KXAN reported. They traveled to San Antonio to see a sibling competing in a national dance competition when the crash happened in Central Texas. Siblings were in the sixth, eighth and 11th grade, the Huntsville Independent School District said in a statement. Irwin graduated from a high school in Huntsville last year. "The death of a young person, much less than four, is a loss that in some way affects us all," said the district. 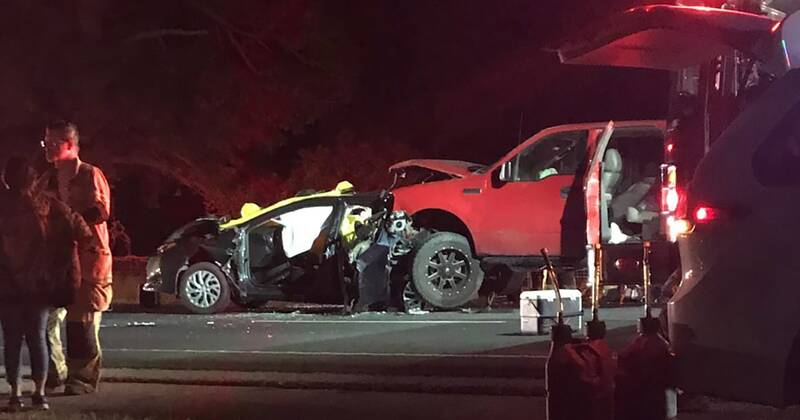 The Texas Department of Transportation said the four were killed when a Ford pickup "failed to control its speed" and barreled in the family's Toyota Corolla, according to KXAN. It was not clear whether the truck driver had been arrested. Tim Stelloh is a reporter for NBC News based in California.